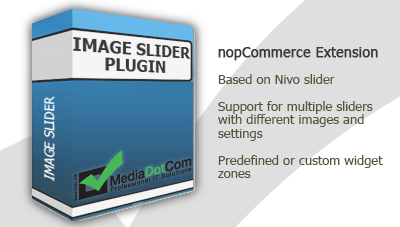 If you need to easily manage images or advertisments on your nopCommerce site, then MDC Image Slider is the right solution for you. This plugin combines a rich set of features and adjustment options while requiring minimum effort to install and configure. You can define as many sliders with different image sets you need and put them anywhere on your site, as many times you want! Adding and editing images is quick and intuitive, and configuring the options is straightforward. You can set your images to have captions and to link to pages within your site or other sites, which may come in handy for clickable advertisments, offers, discounts or sliders for your own products. MDC Image Slider is based on Jquery which offers customization of various animation and navigation settings. All of these settings are accessible from the administration backend providing you with the ability to configure the slider to suit your preferences. - Based on Nivo slider. - Support for multiple sliders with different images and settings. - Predefined or custom widget zones - any slider can be added to any widget zone. - Auto-resizing images to fit the slider dimension. - Easy to set images text (captions). 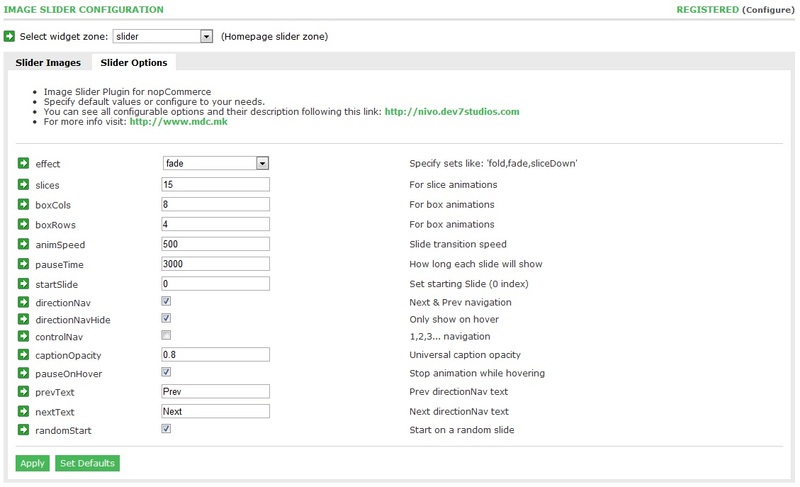 - Defining custom links when images are clicked. 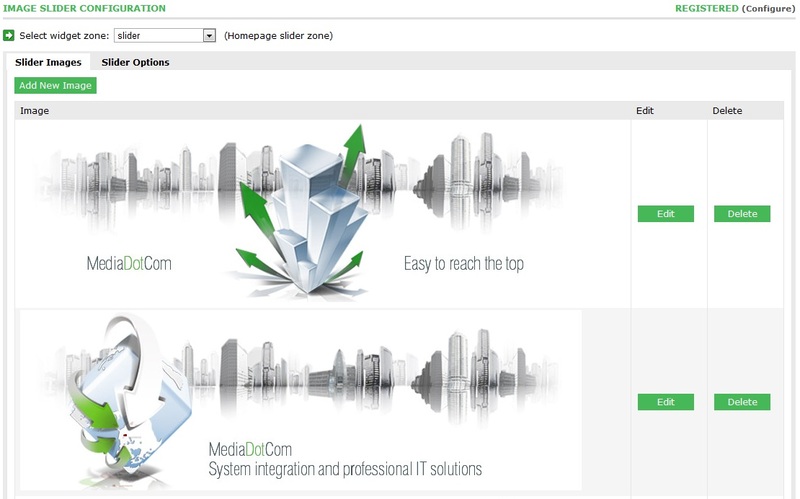 Find out more about Image Slider and other products from MediaDotCom Knowledge Base. Q: How do I use the MDC Image Slider plugin? Q: Does the slider support transparent PNG’s? A: No. Due to the way slide transitions work, using transparent images is not recommended. Q: Can I use images that are different sizes? A: Yes you can. The slider is responsive and can handle images of any size. Q: Can I have multiple sliders on the same page? Q: Can I use all the options that are offered by the basic Nivo Slider? A: Yes you can. Individually for each instance of the slider.